Earn $7.20 in Rewards credit. Click to learn more. The Forekast calls for fun. Whether the weather outside is frightful, or you don't care cause a muddy ride is so delightful, the Maxxis Forekaster MTB Tire is ready to roll. 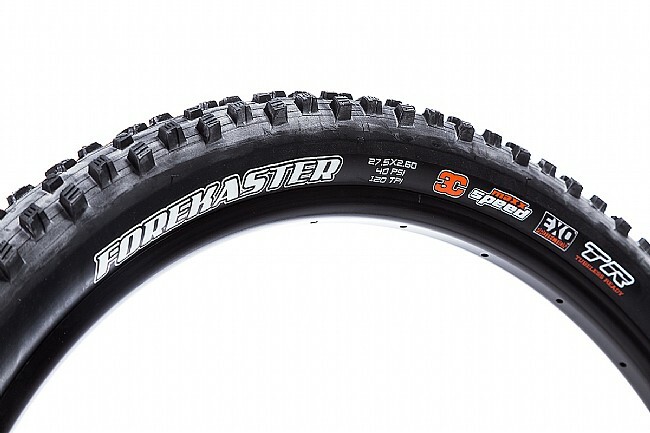 This aggressive cross-country tire was built for riding in loose or wet conditions, with a slightly-open central channel that easily channels out mud, water, or gravel and large shoulder blocks that dig deep during cornering. With a dual-compound, tubeless-ready construction, the Forekaster is ready to go all out on the mountain and keep the rubber spinning mile after mile. Taking their protection to the next level, their EXO Protection technology adds much-appreciated puncture protection for mountain-rated security. 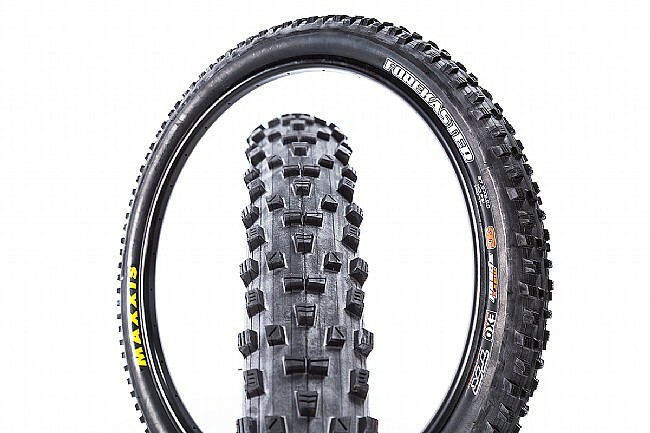 The Maxxis Forekaster 27.5x2.6" 3C/EXO/TR MTB Tire is available in 2.6" width. Also available in 29" sizes. Aggressive XC tire that's optimized for loose or wet conditions. 3C Maxx Speed Compound tubeless-ready construction. EXO Protection gives added durability and protection from punctures, slashes, and cuts.